ZBS is committed to the well-being of our students, especially providing them a safe learning environment. All ZBS teaching artists and administrative staff go through background checks and fingerprinting by the DOJ and FBI. The U.S. Department of Justice approved ZBS Agency and we have the associated Custodian of Records, ORI number, and mail code. We check all teachers prior to employment at ZBS. We are an approved DOJ vendor for the following charter schools: Inspire, iLead, Excel, Sky Mountain and Valiant. We are committed to complying with the CPS (Child Performer Services) in order to work with individuals under the age of 18. All of our teachers have received their CPS permits. Along with background checks and screening, we provide our teachers with copies of our Injury and Illness Prevention Program (IIPP) so they can follow proper approved protocol for reporting suspicious activity, handling emergency situations, and ensuring a safe studio that everyone can enjoy. 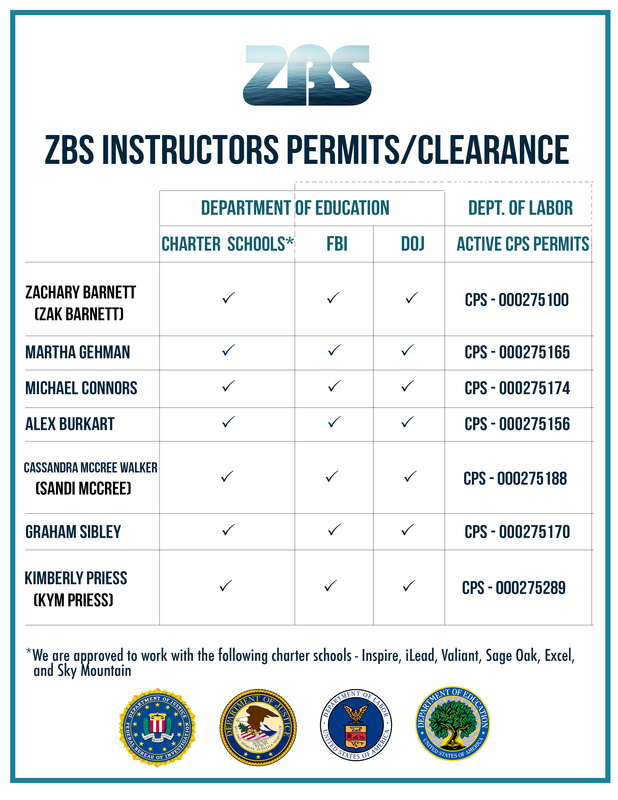 If you have any questions or concerns regarding the safety of you (or your child) at ZBS please reach out to us by e-mailing studio@zakbarnett.com or giving us a call at 323-746-5059.